That's where the fawn-cho comes from! I just love your dog. Hope the fox survives. The little houses is a cute idea. He's a cuty huh, fortunately he's small so he can't reach to high places haha. oooh good choice of hero - I love tiny owl knits, I'm knitting the fawn-cho right now but replacing the fawn with some cabled owls. I love your little fox stole - it's gorgeous!!! Can't wait to see your owlie poncho! The bee blanket is genius. 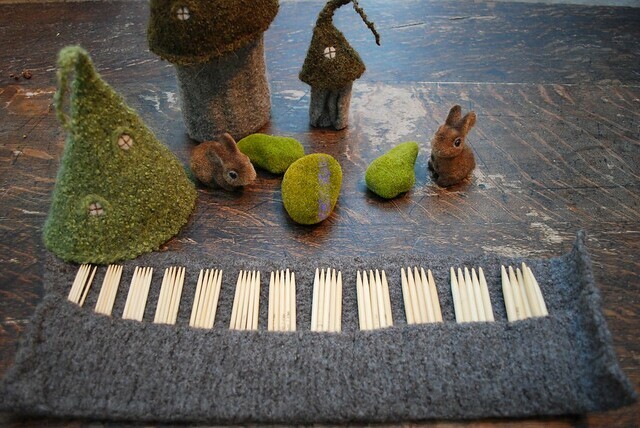 Felted needle case, genius! I haven't knit any of her designs - so far. But a number of her designs are in my queue, just waiting to be knit up. And the hexipuff blanket, although that's almost the holy grail of knitting - to be aspired to, with a long journey on the way to it. I can't even imagine how long it takes to knit up all those hexipuffs. Nice huh? Her patterns are so creative! The quilt is indeed a very long process but I still enjoy it! I do need some small projects on the side to keep me going though. Thank you for your nomination, :'-). Means a lot! 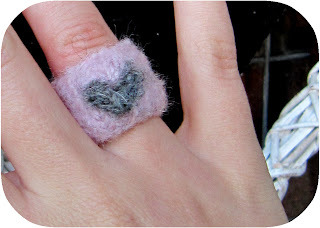 I didn't know "tiny owls knits", thank you very much for that discover :))) and I discovered your blog too, I love it ! I agree, her patterns are among some of the most beautiful and imaginative I have ever come across. Although I have yet to actually knit one. I'm not sure that I could knit a little fox as a adorable as your though! 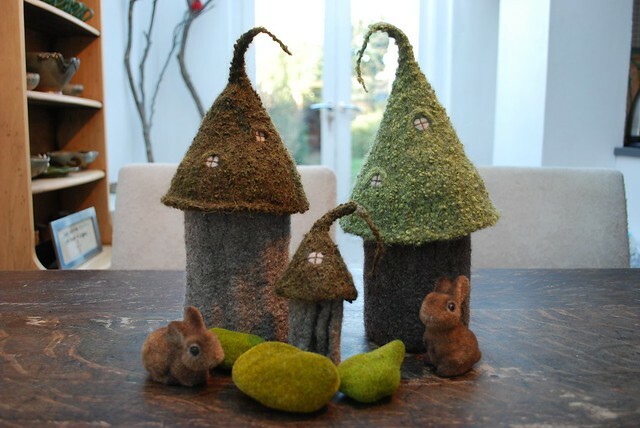 I must have a felted house for needles! I did not know, but after I have read your post, I cannot live without it! On one of your previous posts, I think the one with your lovely hooded cowl, I went off to discover more about this designer and her things are truly lovely! I also like the fact she's musical too. The fox stole is lovely, although I don't think my puppy would leave it alone! I love tiny owl knits, too, and your post was so expressive! I've got to knit that fox stole one day. 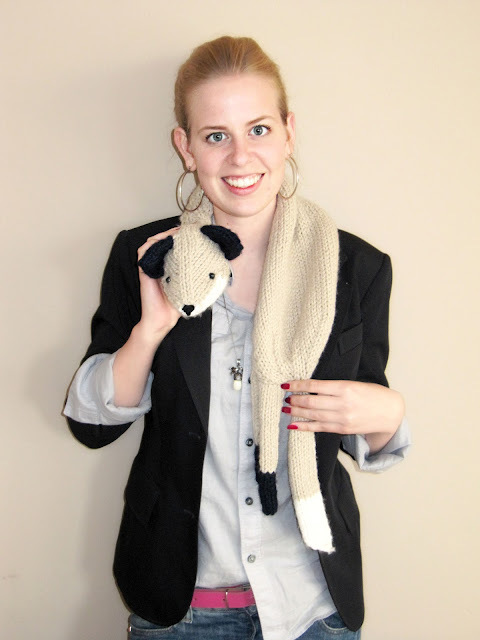 I had seen the fawn-cho before, but she's made so much adorable stuff! Also, that fox stole is fun! 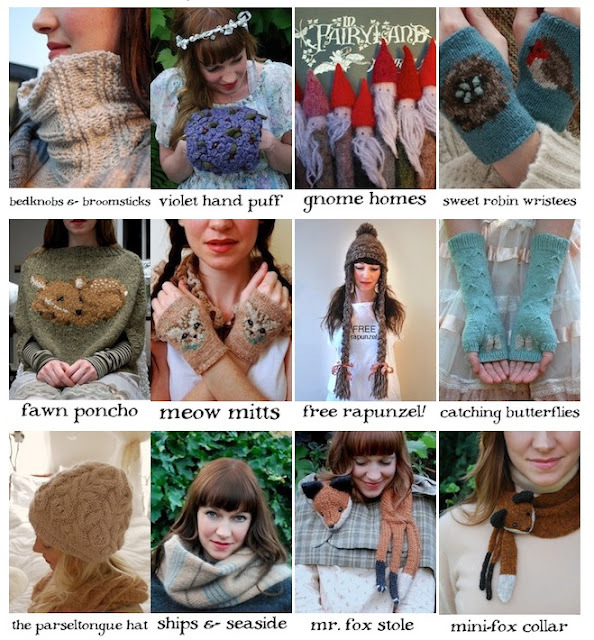 I love Tiny Owl Knits, she has the most adorable designs, full of whimsy! Somehow those needle rolls had passed me by though, I'm definitely going to have to check those out! I love Stephanie's designs, too. They are so filled with whimsy and her unique personality. Your fox stole is so charming and looks great with that outfit! I adore Stephanie's work too. I think being the wrong end of my 30s is what prevents me from making more of her patterns - I think I'll look rediculous in many of them but they are stunning and if I were in my 20s I'm sure I'd be dressing myself in much more whimsical knits.